I haven’t written on the blog since we won the World Series, but right now, I gotta give massive praise to Ryan Vogelsong. and, you have signed with us as a free agent over and over again throughout all this madness; always fighting; integral to the 2nd and 3rd Championships. 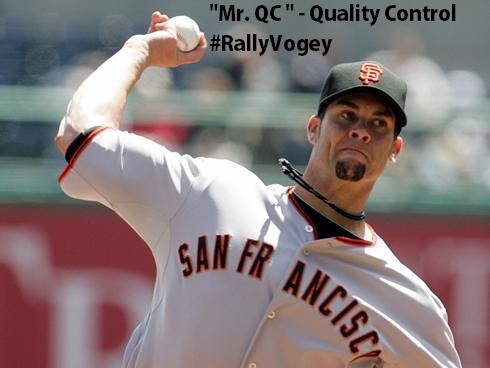 I love the tough, persistent focus; used to call you Mr. Quality Control – Mr. QC – back in ’12 because of that amazing run of 16 consecutive quality starts. Folks, what Vogey has done in the last few weeks has been very much like back in ’12. This year’s start and last year, given that he is agreeing to play because he is “part of the thing,” deserves SPECIAL COMMENDATION. I am sure he could have gone elsewhere. It’s like a noble secret. Ryan, you have been killing it for us since 2011. For us to be successful, we need to compete against the Dodgers’ salary with sensible players willing to be a part of the team. No one on this team exemplifies this more than you. and right now, wow! 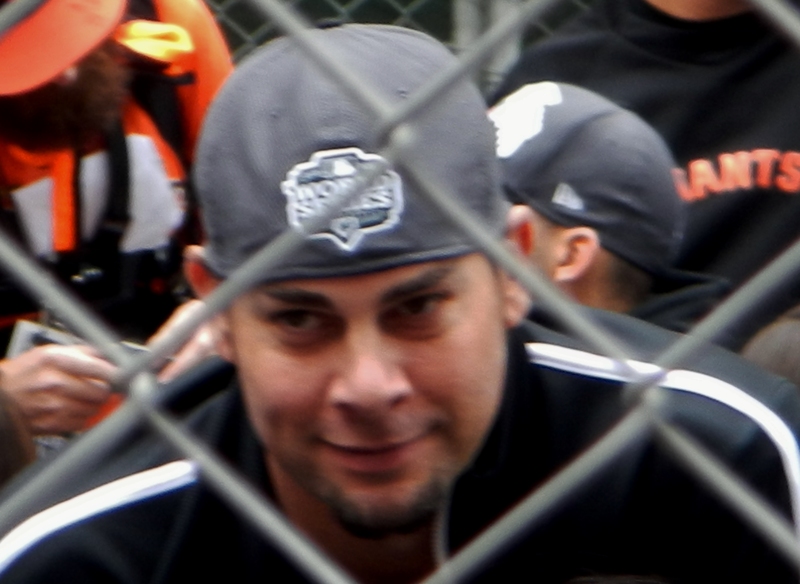 Ryan Vogelsong! Thank you! Thank you so much! I stand and applaud, man. You are a GREAT Giant! … you should smile more often, homey. 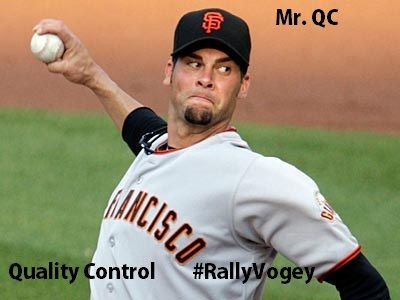 #MrQC Here’s to Ryan Vogelsong, a GREAT Giant.